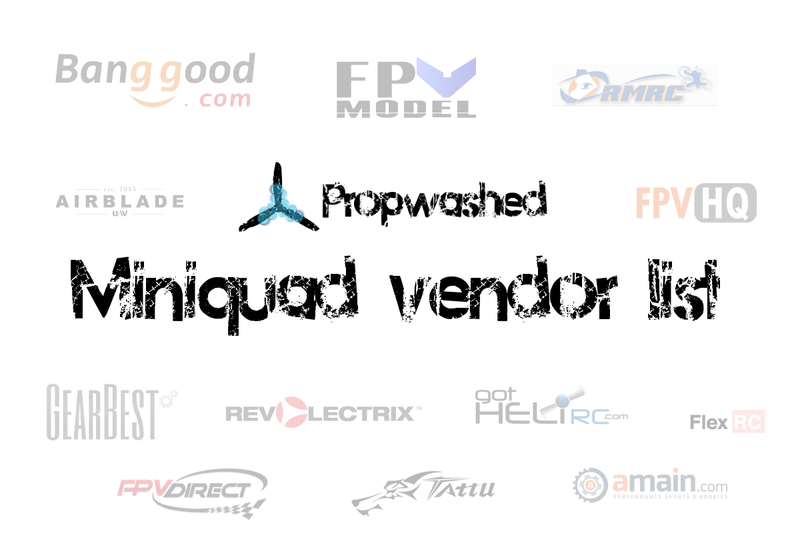 Welcome to our curated list of miniquad vendors! We compiled a list of FPV drone stores to make purchasing your components easier. We have personally used many of these retailers to source our parts, and would be happy to answer questions about our experiences. Similarly, feel free to leave feedback on your experiences with these vendors in the comments! Large: Reserved for stores with massive inventories spanning thousands of items and touching multiple different hobbies. You can generally make all of your purchases at one of these stores. Medium: These are stores that sell all of the parts required to build and fly a quadcopter, but have a limited selection. This is not necessarily a bad thing – some medium sized stores “get it right” and only sell the best gear. Small: Boutique stores that often specialize in a single brand of a single component. See a multicopter vendor missing or want your store added? However, please be aware that we focus mainly on vendors that supply components for the drone racing / freestyle community. If you are a vendor and are interested in working with us, please see our vendor services page! Like many of our articles, some of the links above are affiliate links. We urge you to shop around, but if you do decide to buy from the vendors above, we would really appreciate it. It doesn’t cost you a dime more, but it sends us a few cents every time a purchase is made. Thanks!